Qualified students in Eastern Mennonite University at Lancaster’s aviation program will have an opportunity to interview for job opportunities with Republic Airline under a new career pipeline interview program. The agreement between the two partners was recently signed, and is the first such for EMU at Lancaster’s newest academic program, the four-year bachelor’s degree in leadership and organizational management with an aviation concentration. Already in its first semester, the program’s newest students are on their way to careers in the aviation industry. The first student to make his solo flight achieved this accomplishment last week. All flight training is conducted through a partnership with Aero-Tech Services, Inc., an FAA-approved Part 141 Pilot School, in Lititz, Pennsylvania. Qualified graduates of the program will have earned a bachelor’s degree, as well as private and commercial pilot certificates with an instrument rating, a flight instructor certificate – and an opportunity to interview with Republic Airline. 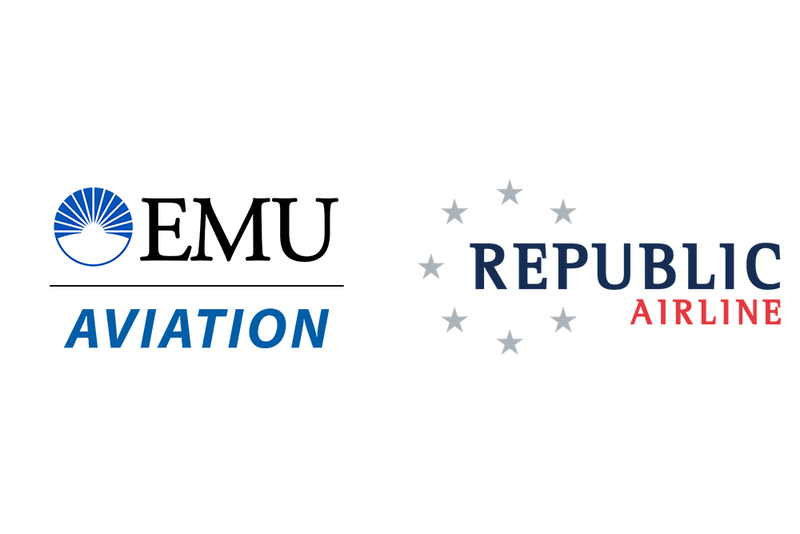 The agreement ensures that Republic Airlines will notify EMU at Lancaster students with conditional offers of employment of summer internship opportunities before students in other programs. Additionally, the two partners will cooperate and collaborate to ensure that all students meet a high standard of work ethic, flying skills, aviation knowledge, professional attitude and demeanor, and personal qualifications. possession of a First Class Medical Certificate. Republic Airline, based in Indianapolis, Indiana, operates a fleet of nearly 190 Embraer 170/175 aircraft and offers scheduled passenger service with approximately 950 daily flights to 100 cities in 40 U.S. states, Canada, the Caribbean and Central America. The airline provides fixed-fee flights operated under its major airline partner brands of American Eagle, Delta Connection and United Express. Republic also has two pilot development programs, the RJet Cadet Program and the RJet Pilot Prep Program .